The arrival of your period is often the last thing that you want when you’re trying to conceive and hoping for your ‘big fat pink’. So, it goes without saying that ‘cycle day 1’ can end up feeling like a dreaded guest who shows up at the worst time simply to shatter your hopes. It’s difficult not agonise over the profound sense of loss or failure that my surface, and it’s the kind of thing that makes you feel like your body is working against you. This is something I struggled with tremendously in the initial years of my personal fertility journey. 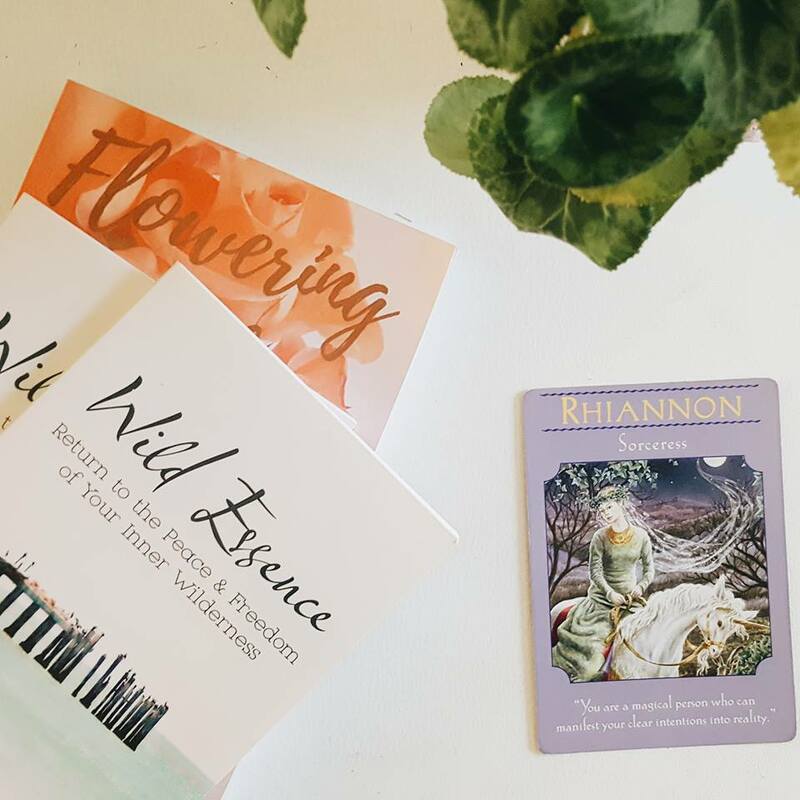 It took a long while to recognise the need to reframe my thinking around my period, to see things differently in order to help keep a balanced perspective and ease the emotional distress I experienced from month to month. Drawing inspiration from guiding words such as these, with time and practice I’ve allowed myself to see it as a time to shed the old and as an opportunity to start anew. I’ve come to understand that my moontime (menses) is a valuable barometer of my health and fertility. Along with this, developing self-cares practices have been the greatest source of medicine for my soul, making it a sacred time to debrief, breathe and reset for a few days, something that I actually look forward to. If there is one key lesson that keeps being reinforced on this journey, it’s that one the path to becoming a mother I’ve learnt how to be a mother to and nurture myself. The more I tend to wellbeing, my health and incorporate energy/womb healing, mindfulness and relaxation practices into my daily life, the easier, more regular and balance my periods become. I make a point of constantly asking myself – what is the most healing thing I can do for me? 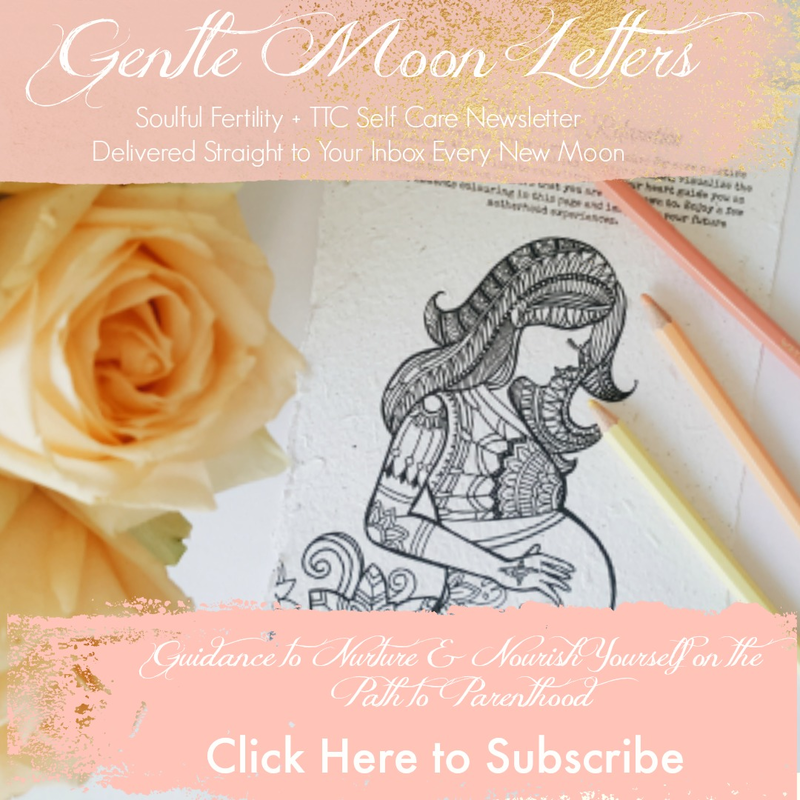 The answers are always simple – it’s more healing to surrender and express gratitude when my moontime arrives (esp. bearing in mind that it’s a healthy indicator of my ability to conceive and carry a child) than it is to fight against it. And it’s more healing to nurture myself in calming ways than to get stressed out and spiral down into negative emotions or self-hate. Magnesium Baths: After hearing many good things about the benefits of magnesium and how it can help with menstrual pain, I decided to experiment with adding magnesium to my baths during my moontime. Six cycles later, I’m glad that I did, because this has proven to be a beautifully relaxing away to release body tension and ease menstrual cramps. I also add a few drops of clary sage and lavender oils to help balance and ground me. I light some candles and just take my time soaking in bathtub and reading poetry or prose to soothe my soul. It’s a beautifully calming way to create space of me-time. It’s worth checking out the article – Healing Baths for Each Phase of Your Cylce – by Bri Braggs, found of Fertile Alchemy. She has some wonderful bath soak recipes and suggestions on how to support your body during your moontime. Yoga: Yoga is credited with many benefits to general wellbeing and for fertility as well. For me, it’s been a really great way to connect with my root and sacral chakra energy centres, loosen stiff and tight hips, release lower back pain. It helps with stagnant flow and to ease my blood clots (although since working with my Fertility Naturopath over the last year I struggle less with this sort clots and pain). Overall, leaves me feeling light, grounded and emotionally balanced. A couple of my favourite go-to yoga videos for this phase of my cycle are Brett Larkin’s ‘Yoga for Pain & Period Cramps’ and ‘Yoga for Fertility’. Womb Healing Meditations: Since the uterus is shedding what it no longer needs it seems the perfect time do some womb healing and clear the energy in my womb space. There are various ways in which you can approach womb healing exercises. I tend in use visual meditations, reiki healing to clear my sacral and energetic womb space, crystal healing and colour therapy and self-fertility massage. I’ve also incorporated the mantra given to me when I received the Munay Ki womb rites training a few years back, which is : “The womb is not a place to store pain and fear. The womb is a place to create and give birth to new life.” Working with this mantra has been helpful in allowing me to release pain, fear and negative emotions that I project onto my feminine self. So it’s worth taking some time explore what you feel drawn to and experiment with what works for you. Sit or lie down in a comfortable position and allow yourself to relax. Take a few deep breaths, in and out. Place your hands on you lower abdomen/pelvic area beneath your belly button. Now, breathing deeply, draw your breath into your womb space and visualize loving light and healing energy flowing in as you do. Release any tension stored in this space on the exhale. Spend a few moments practising this visualization, breathing into your womb space, sending love to your ovaries, your uterus, your pelvic bowl and releasing any tension from this space. Taking care of your Self – mind, body and soul – is vital to your overall wellbeing and fertility, especially on those rough days when you’re plagued by feelings overwhelming sadness, frustration, inadequacy and tend to be hard on yourself. I keep learning that those are the days when you need self-compassion, kindness and to be gentle with yourself more than anything. In anticipation of those challenging days where you may feel stressed out, anxious or out of sorts for one reason or another, having a plan to guide you back to a place of calm could be a worthwhile effort that helps you rescue yourself. In devising your soul-care plan to support you through the difficult moments of your TTC journey, it is worth asking yourself questions such as – What anchors me when my soul craves restoration or inner harmony? What calms my mind and helps you to release your stress and anxiety? The idea is to assess the things and experiences that offer you grounding, stillness, peace and inner healing, then investigate how you can integrate them into your daily experience as often as possible as you go about creating a soul-care plan for yourself. The Calming Power of Breath Work: The quickest way back to presence is to focus on your breath. The rhythm of your breath is calming. It draws your attention away from distractions and back into the moment. At any moment when you become self-aware during an overwhelming moment, breathe deeply and allow yourself to be. Meditation for Inner Calm: Like breath work, meditation is another gateway out of a cluttered mind and into a state of peace and serenity. The more you create space between your thoughts, the more you connect with your intuition and find comfort in the present moment. Setting aside some quiet time to meditate for between 10 to 30 minutes a day can have a significantly calming and healing effect on you. There are various different types of meditations you can use – ones to de-stress and relax, to aid better sleep, to balance your chakras or to let go of worry or negativity. If you are not experienced with meditation, then start by listening to guided audio ones. There are loads of free meditations available on YouTube and the ‘Calm’ app is also a fantastic stress release and meditation tool.